We love shopping in Sydney, so we're pretty excited that lifestyle store, The Hunted (a gorgeous boutique in Cammeray full of everything we could possibly want) is opening in a new location. For two months from Tuesday 7th October, The Hunted will have a pop-up shop in the CBD's Chifley Plaza and we can't wait to get down there and check it out. From lust-worthy homewares to stationery, clothing, and candles, it's almost a little too easy to blow a whole pay cheque on all the gorgeous hand-picked products they have in store. We're currently obsessed with the range of colourful throw pillows (you can never have too many throw pillows, right?) 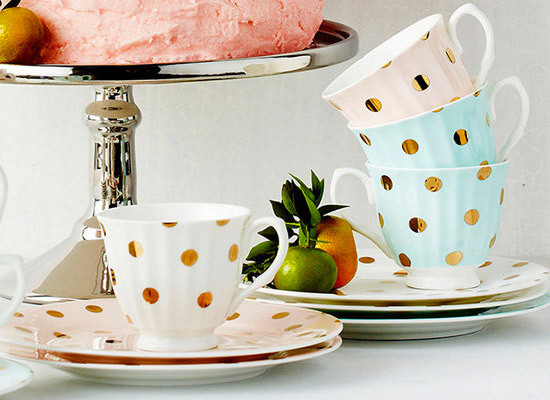 and the super-cute polka dot tea cups and plates—seriously, they're amazing! With a focus on Australian designers, including Pony Rider, Kate and Kate, Binny, Arlington Milne, Bonnie & Neil, Lola, and Elms + King, pop down in your lunch break to pick up a unique gift or even just to treat yourself to something special. The Hunted pop-up store will open 8am-5pm Monday to Friday, until December.